Denim is a staple in most wardrobes, and rightly so. It has many uses, is a hard wearing fabric, and can be dressed up or down (to a certain extent). As far as cost per wear goes, most people get maximum value from their favourite jeans. Fabric drape – some denims are soft, and some are stiff. The curvier you are naturally, the softer denim you need to look for, otherwise you’ll find it uncomfortable. Some stretch in denim will add softness. If you have a more muscular body or are naturally very slender, choose a stiffer denim with little or no stretch. Colour – dark non-distressed denim is the dressiest. Lighter denims and distressing make denim more casual. Coloured denim is a fun fashion trend, but buy cheap as it won’t be the longest lasting trend. Spend most on your dark classic denim jeans as these will stand the test of time. 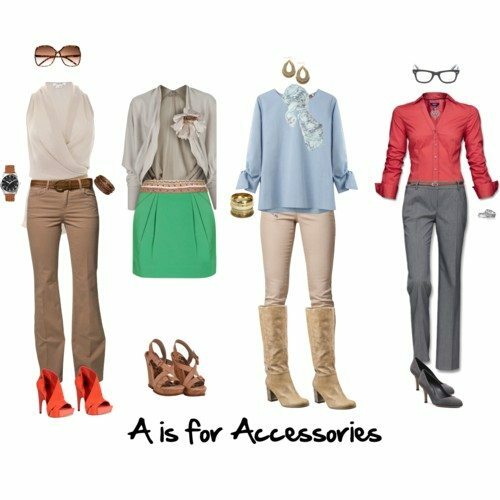 Leg length – ideally you will need jeans hemmed for flats and another pair for heels. The current trend for ankle length denim works well if you have long legs or wear them with a heel, but these again are a trend so spend less on a cropped pair. Shape – even though denim jeans are timeless, shapes, lengths, waistlines all change with the fashion trends. Be aware of the current shapes and trends to keep looking modern and fresh. Those jeans you bought in 1995 are making you look old and dated. 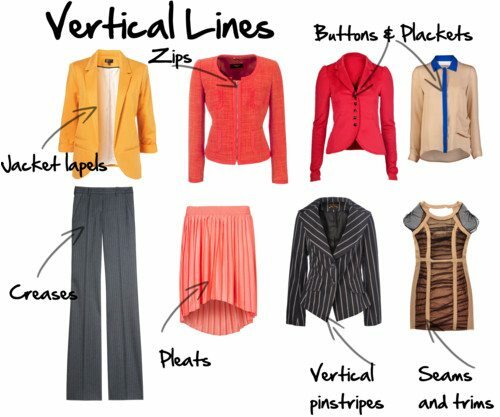 Pockets – back pockets need to be placed on your bottom to make your legs look longer. If the pockets too low they will make your legs look short. Wide pockets make your bottom appear wider, and lots of bling and pocket flaps make your bottom appear curvier. As for front pockets, the standard jean pocket is flattener for most. Large pockets on the fronts of the thighs are best for those with slim thighs. Distressing – if you have fuller thighs, avoid whiskering (distressing at the crotch) of your jeans, as it draws attention to your upper thighs. 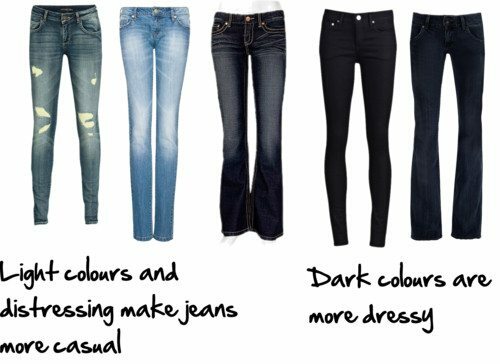 You can look for jeans that have vertical distressing, where the edge of the jeans is dark, but the centre of the jeans is lightened down the thigh as this will provide some elongation and a slimming effect. Random distressing will make the jeans appear more casual. Fabric weave – some denim is woven to have a vertical grain, others to have a cross-hatch or horizontal appearance. If you want to make you legs appear longer and slimmer look for denim that has the vertical grain. Coloured and patterned denim is a statement trend that you’ll find in all markets at present, from the fast disposable fashion stores in the junior market, to the mass retailers. 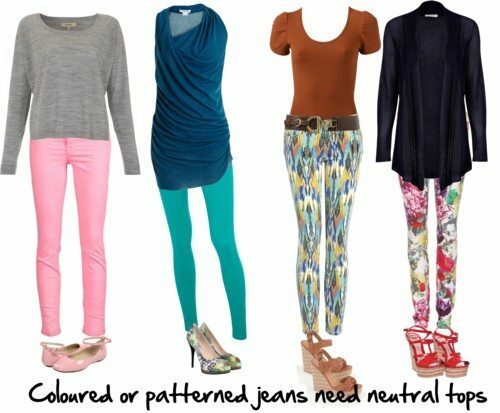 The brighter the colour of the jeans the more you will find wearing a top in a neutral colour works best. It’s the opposite of the black or neutral pant with coloured top! Over 40? Read this post on how to wear coloured denim. Jeans jackets are also a staple that you can keep in your wardrobe for years. Even though there has been a trend for ‘double denim’ unless you’re young and very hip, you will look dated wearing your denim jacket with your denim jeans. Instead, toss your denim jacket over a summer frock or to dress down your black dress pants, or even with a pair of coloured denim jeans. Depending on your work environment you may or may not be able to wear it to work. If you work in the land of suits, denim is generally not advisable, even on casual Friday. If you work in a casual environment, keep your denim dark and distressing free as this is the most ‘dressed up’ denim. Turn your jeans inside out to wash, particularly if they are a dark denim, as this will help to prevent fading too quickly. Washing white denim, pre-treat spots with a stain remover. Avoid bleach as it may yellow your white denim. Avoid putting stretch denim in the dryer as the heat will cause the lycra to degrade and you will get more bagging and stretching of the fabric. Bootcut – an easy shape to wear for many body shapes. Ensure they are hemmed as long as possible, without dragging on the ground. 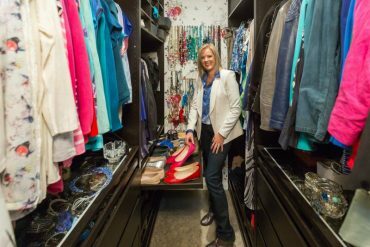 Wide leg – long legs needed, and a wedge heel, no stilettos for this jeans. Great for balancing broad or square shoulders. 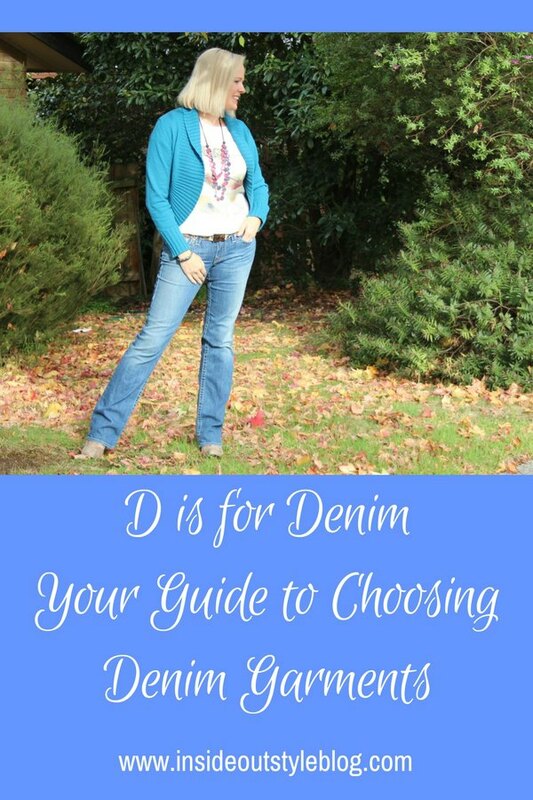 Tapered – the old-fashioned “Mom” jean, be careful and don’t wear it if you’re over the age of 30! Try lots of different brands. Not all jeans are cut the same. Levi now have a range that work for the curvy shape (who have often found that the waistband gapes at the back of their jeans) as well as those who have straighter body shapes. The length of your rise will also determine the best rise for your jeans. If you have a long rise, when you sit in jeans, you will often find that they pull down low and expose your underwear. If this sounds like you, look for jeans that are marked as ‘high rise’, this will not appear high on you but will be a medium rise. 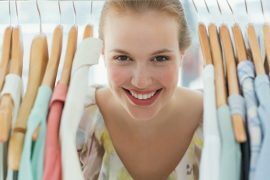 Remember, the labels are just a guide, you will need to try on multiple styles and brands to find the jeans that fit your unique shape. Great post, can’t do without my jeans. I practically live in them in the winter time when I’m home. However when I go out I like to wear skirts or nice trousers. Jeans really do tell you the personality of someone, when you start to think about it! For example my youngest sons soccer coach often wears jeans with thick stitching or detailed pocket design, & they must be a “labelled” jean (no target for him)! I guess that’s his dramatic personality showing! Great blog. As a stylist I can only agree and I meet so many of my clients that struggels with finding the right pair of jeans. I have to recommend Not Your Daughters Jeans for women that needs a little lift and support. I have totally given up jeans. Got my first pair as an exchangestudent in Iowa in 1983, as a gift from my host family. Never did warm to them and have tried several models since. I like my clothes loose on my body (or “skimming” as you style folks say, not tight, not baggy) and to be able to move freely and jeans look best when they are tight. I think women like them because if you can stand wearing a well fitting jean, it´s a bit like support underwear, but not. Like a well-fitting bra for your bum. And I suppose there is comfort in that. I’m somewhat confused about bootcut jeans right now. They work for my thick-thighed, knock-kneed body shape, but they are starting to feel dated. It doesn’t help that I’m short, so if I wear a longer tunic with skinnies or straights, I look even shorter (and still knock-kneed). I’m moving from the US to Belgium in a couple of months, and all you see is skinnies there, no boot cuts or even the elusive straight. 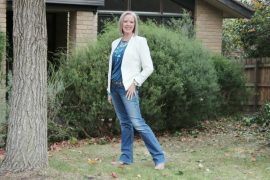 What should I do – give up on wearing jeans altogether? I think women like them because if you can stand wearing a well fitting jean, it´s a bit like support underwear, but not. Like a well-fitting bra for your bum. Thanks for sharing.